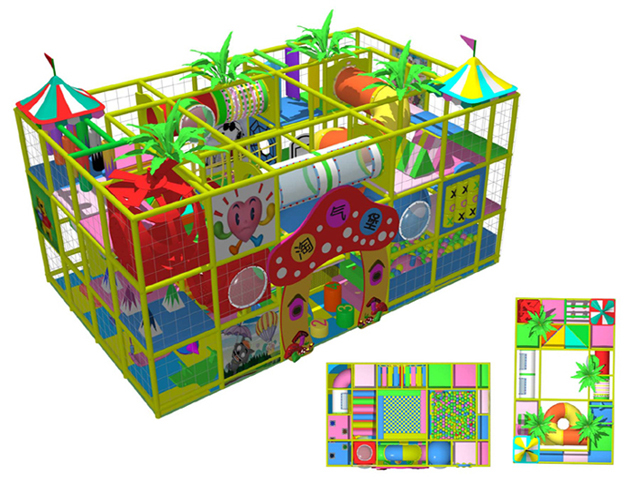 This Indoor Playground For Kids design have three level. This play structure have one big plastic slide from third level to the ball pit on ground. Beside the ball pit have one trampoline park, passageway around the ball pit and trampoline have bridge, station, tunnel and obstacle for kids to explore.